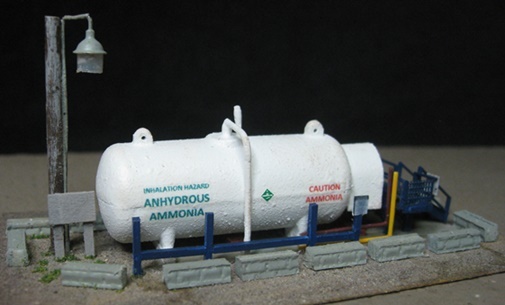 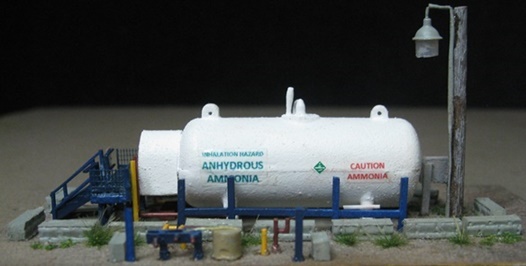 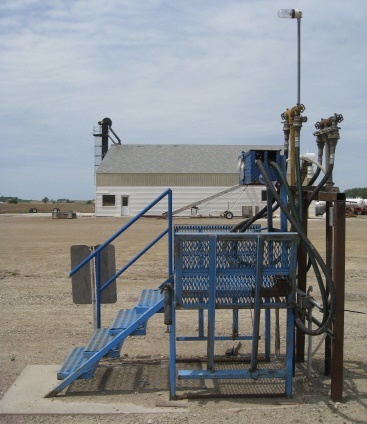 This is a loading station for liquid anhydrous ammonia (a type of fertilizer). 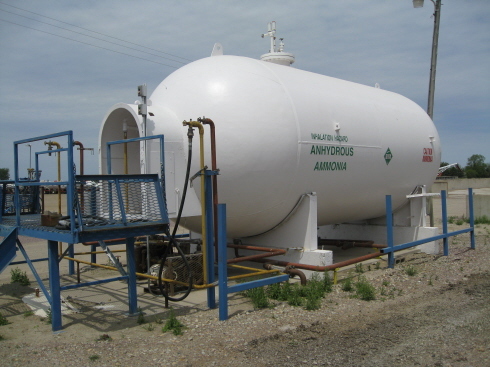 I imagine it goes into all those little tank trailers one sees parked everywhere around here. 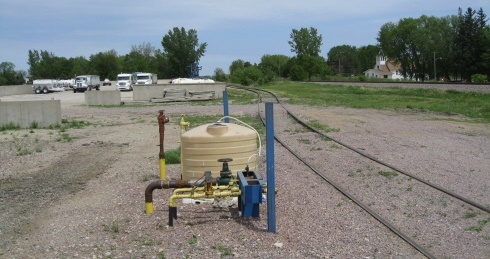 SunRich doesn't have sufficient storage to justify rail shipments of NH3, so all delivery is by truck.